When winter comes, it’s important to keep in mind how the weather may affect you and your instrument. As the weather gets colder, there are a few things that you should keep in mind for your guitar practice. You may be unable to play the guitar outside during the colder months, so avoid outdoor performances in cold weather. And in the winter it might get cold enough to affect you while you’re inside. 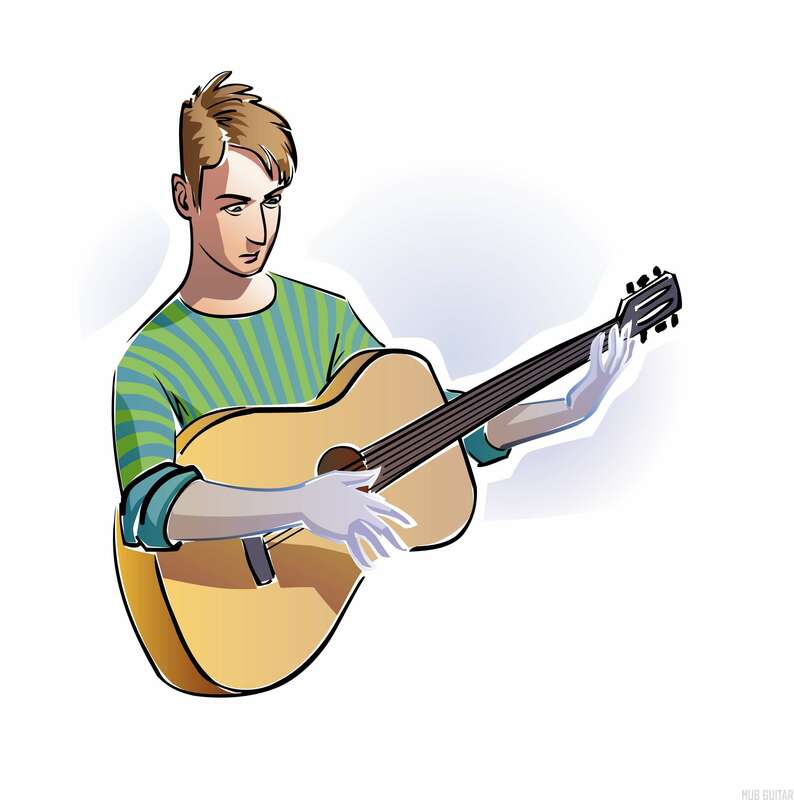 If you’ve been outside, or if your building is not well-heated, you might find that your fingers don’t feel nimble when you pick up the guitar. There are several things you can do to keep your hands warm during the winter. It’s a great idea to put a humidifier in your practice space. 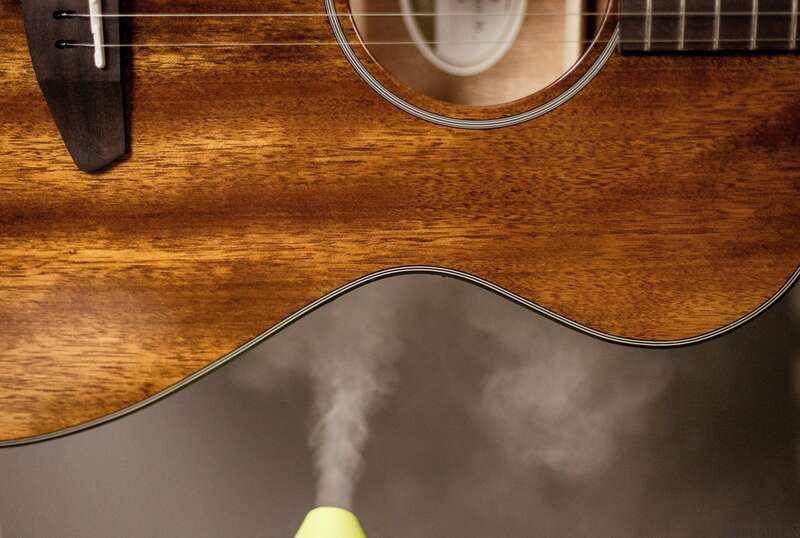 But don’t spray the steam directly on your guitars! You should already have a practice space set up, but if you do not, now is a good time to create one. Your practice space should be kept at the appropriate temperature and humidity. This is best for you and for your guitars. You should make sure that by the time you are ready to practice, your practice space has reached a comfortable temperature. Although you may be able to handle low temperatures throughout the winter, your hands will not be as limber in the cold, so you want to make sure that your practice space is warm enough. For that reason, you might choose to put your practice space in a small enclosed area that can be kept warm. If the heat that you have in your home or office is not sufficient for practice, you can use a Small Space Heater (Lasko)[? ]Affiliate Link to make sure that your practice space is always at a comfortable temperature. You can turn it on 30 minutes before you begin practice. Of course, be aware of the fire hazard. Use a space heater only under supervision; do not leave it near articles that may catch flame, and make sure that it is plugged into an outlet that can handle the electrical current it draws. It is also a good idea to maintain a comfortable humidity. You can do this with a Error. Link not found.. This will help you to protect both your hands and your guitars. If your guitars get too dry, they may warp or even crack. If you will be traveling with your guitar in the cold, you should consider taking some steps to protect both you and your guitar. Obviously, it’s a good idea to wear warm gloves. However, gloves can only do so much to protect the hands against winter’s biting cold. For that reason, you might want to buy some Chemical Handwarmers[? ]Affiliate Link. It is very handy (no pun intended) to carry one or two of these around in your guitar gig bag. This can be a lifesaver when you need to do a performance or lesson and your hands still have not warmed up. Handwarmers may need 30 minutes to reach full temperature. Don’t forget to think about your guitar. During the winter months, you should definitely consider putting a Oasis Humidifier[? ]Affiliate Link in your guitar case whenever you travel with it. This will not protect the guitar from temperature extremes, but at least it will ensure that there is still some moisture in the instrument. Ideally, guitars should not be allowed to fluctuate frequently between very hot and very cold temperatures. Each time your guitar changes temperature, it will expand or contract and each time it does that there is some risk that it will begin to crack. If you really want to protect your guitar, it is best to leave it in the case and allow it to acclimate to a new temperature before opening it. This is like transplanting a fish to a new tank within a bag of the original tank’s water. The sudden shock is avoided. But don’t worry, most guitars can handle some cold temperature. A decent instrument is more hardy than fragile, and can hopefully suffer more abuse than you will subject it to. However, you may notice that when you leave your guitar in the cold it goes out of tune. That is because your guitar has shrunk ever so slightly. If you have just arrived at a gig, performance, recital or guitar lesson and you need to warm your hands out fast, try this trick. Go to the nearest restroom, and find a way to plug the sink. Fill the sink with warm water, hot enough to be slightly uncomfortable. Soak your hands in the warm water for several minutes and they will quickly return to optimum temperature. If you’re lucky enough, this is all you need. It is best not to rely on this trick too much. In addition to being a little bit troublesome, constantly soaking your hands in water can cause them to dry out. During the winter months it is important to keep your hands in good condition. Buy a small bottle of moisturizer to carry with you and apply it to your hands regularly—especially after washing your them.